One of my friends and a Tastemaker in Residence, Debra Sabrusula's daughter got married last weekend on the family ranch. 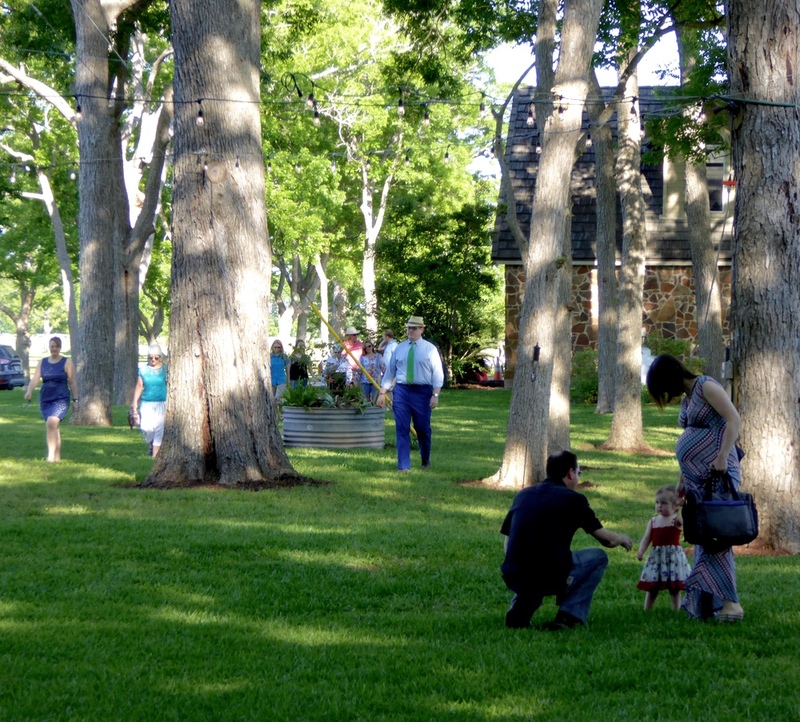 The rehearsal dinner was the bar-b-que sauce on a day that began with horseback riding and shooting clay pigeons and ended with Country Line Dancing; with the rehearsal and dinner in the middle. 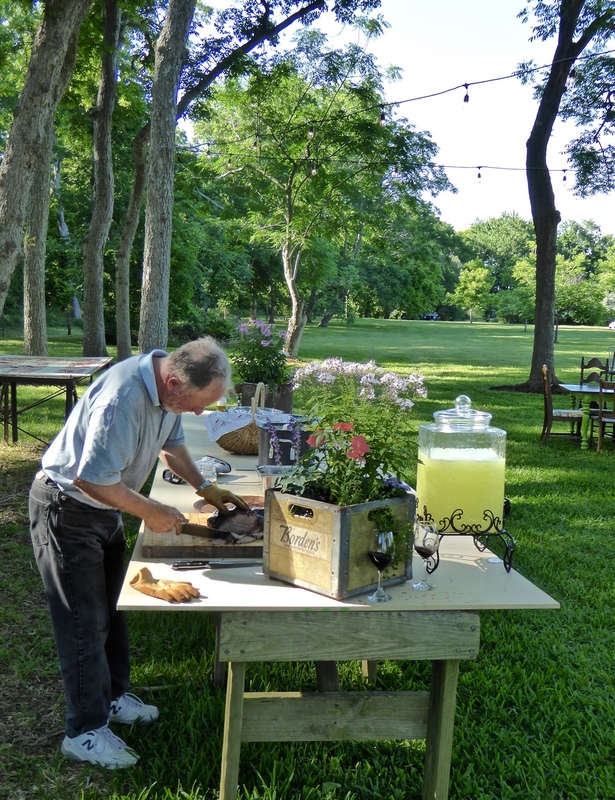 Rehearsal dinners aren't immune to a creative setting; but on this particular April evening, a ranch setting came alive with glamping tents in the background, (glamping is upscale camping), tables full of Texas Bar-b-que and friends and family sharing a toast to the bride and groom. When Debra Sabrusula rung the dinner bell, it took me back to my childhood. Dinner bells serve a valuable purpose on a ranch; they are the noise in the distance that beckons all to the table. More on glamping... This concept was begun by Matthew McConaughey and on this particular occasion 8 tents held regular mattresses, cowhide and sisal rugs, and sling chairs. The tents can accommodate a person of any height and have zippered ventilation. So needless to say these campers were thrilled that the temps were lower than a usual end of April day/night. Showers and bathrooms were available not far from the campers. The lovely lady in the center photo is Nana and she chose not to glamp, but she was still the life of the party. Next week we will share more from this Ranch Style Wedding!